On a crisp autumn day in Beijing, 13 th September 2018 was a proud and exciting day for all volunteers, friends, officials, teachers, and students of ShinShin Education Foundation. 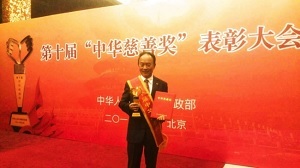 The Ministry of Civil Affairs praised Shin Shin and awarded the foundation the highest and the most important China Charity Award during the tenth China Charity Award ceremony in the majestic Great Hall of the People. 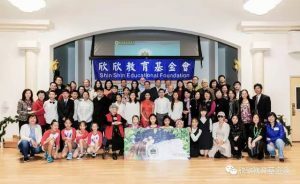 ShinShin Education Foundation volunteers in America and China along with another twenty-seven individuals and charities were rated as Models of Chinese Charity. 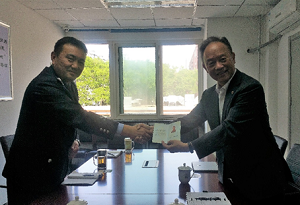 On the afternoon of April 28, Steve Ting and his colleagues visited Beijing Non-governmental Organization Management Office, and received certificate as the Chief Representative of Shin Shin Beijing Office. 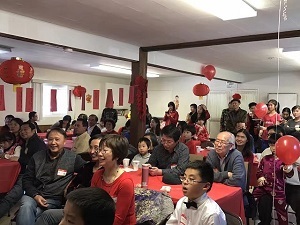 February 11, Shin Shin new and old volunteers gathered together to celebrate the Lantern Festival. Many youth group members came early to help organize the venue. This year is also the 20th anniversary of Shin Shin. February 11 is the day for monthly meeting, and also happens to be the Lantern Festival. We plan to hold a party with all bay area old and new volunteers, to celebrate the 20 years of experience, and celebrate the Lunar New Year. 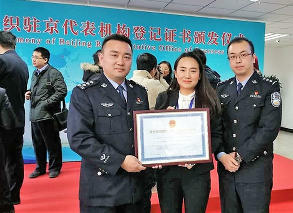 On the morning of January 23, 2017, the Non-Governmental Organization Management Office of Beijing Public Security Bureau hold ceremony for awarding certificates to overseas non-governmental organizations. The Beijing Representative Office of Shin Shin Educational Foundation (US) participated the ceremony, and received the new registration certificate issued by the Ministry of Public Security.